Easy/Moderate, 2.6 miles, Wheelchair Accessible. The Acastus Trail follows the Kyle Canyon Wash through pine stands and aspen groves, and past CCC historic sites built in the 1930’s. 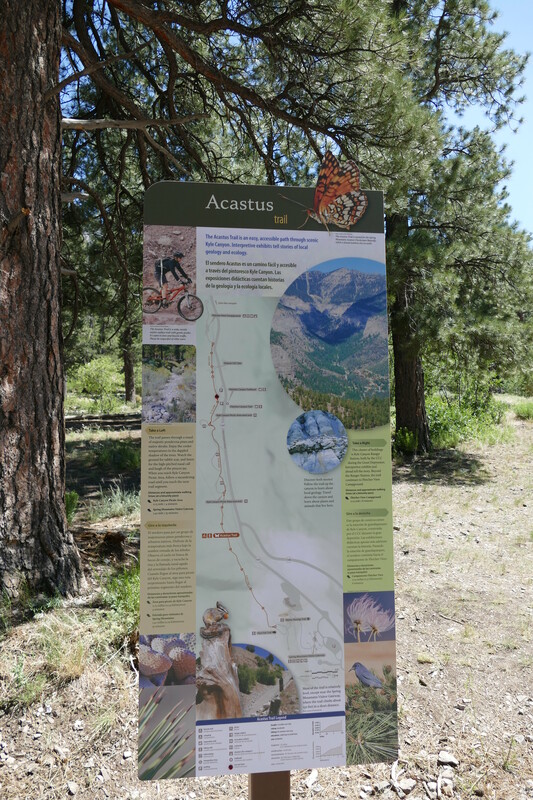 The trail features educational panels about the flora, fauna, cultural, and geologic history of the Spring Mountains, along with benches and shade. 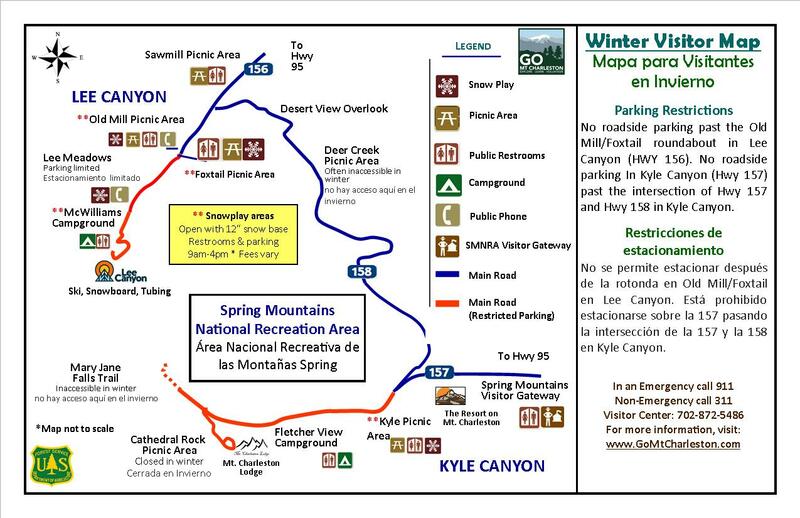 The Acastus Trail can be accessed at the Spring Mountains Visitor Gateway which has one steep gravel grade at the start, or the Fletcher Canyon Trailhead where the Acastus is paved and offers gentle slopes up and down in elevation. Restrooms can be found at both access points.